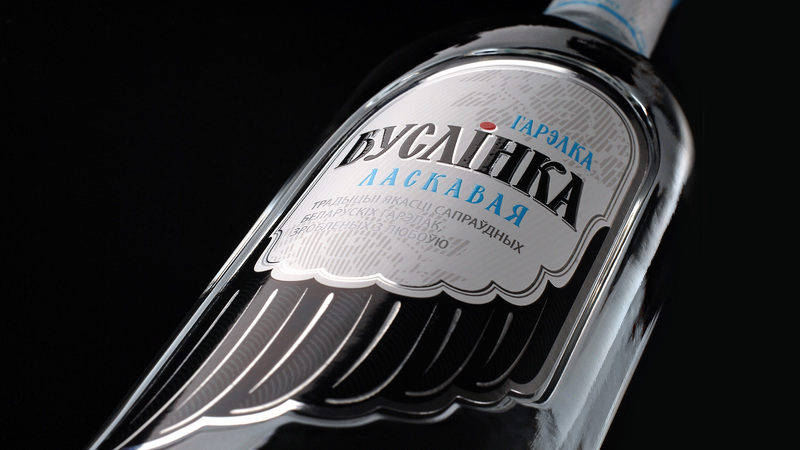 The brand is positioned as a 100% Belarusian national product. 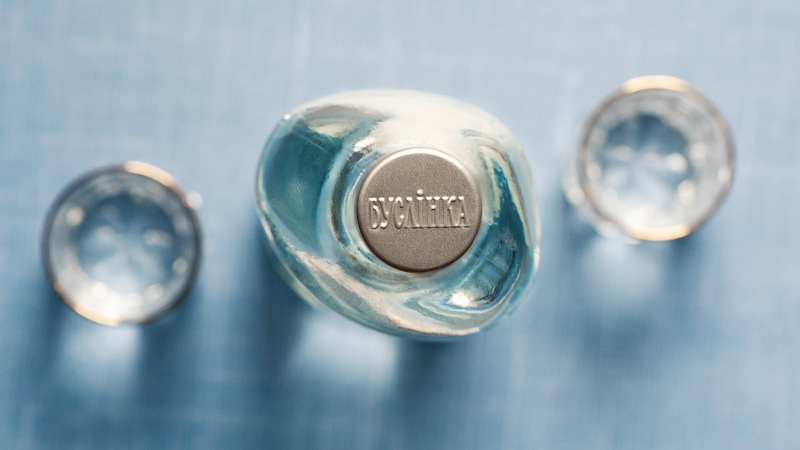 The trademark name is a neologism we conceived from the word “busel”, that is “stork” in Belarusian and could be a diminutive name for a female stork. The thin bottleneck articulates the image. 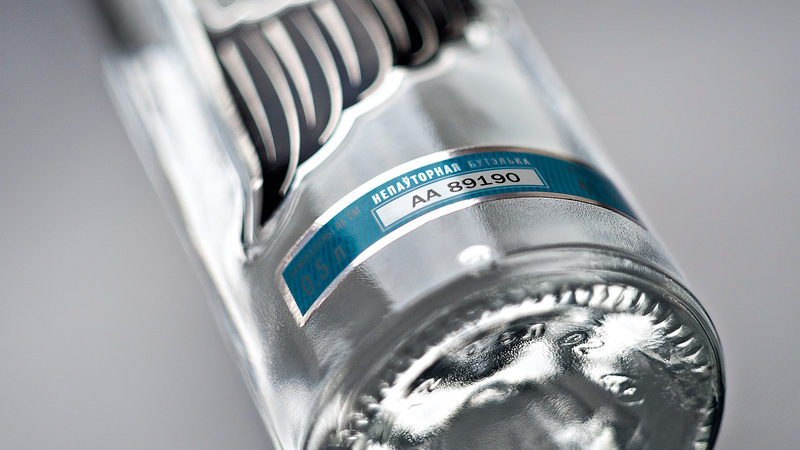 The bottle itself resembles the classic USSR vodka bottle shape and a home-brew bottle. This artisanal impression is emphasized with the shoulder level difference and the bottle non-central form shaped with due regard to the hand shape.